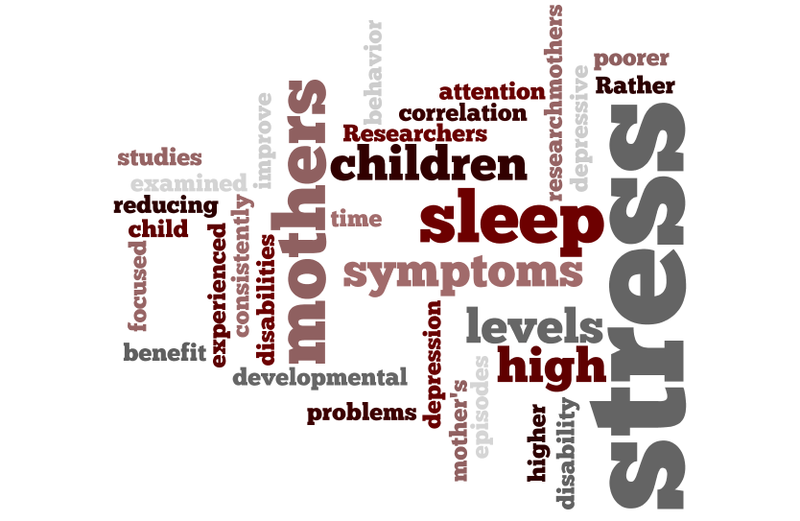 Researchers examined numerous studies of the sleep and stress of mothers with children who have developmental disabilities. These studies consistently showed that these mothers had higher levels of depressive symptoms, more stress, and poorer sleep. Further, the high levels of stress were not just occasional episodes. Rather, these mothers experienced higher levels of stress consistently over time. Also, there was a high correlation between a mother’s stress and behavior problems for the child with the disability. The research suggests that these mothers (and their children) may benefit from attention focused on reducing their symptoms of stress and depression as well as ways to improve sleep.